G. V. Prakash will play the lead role in the film, while A. R Rahman will compose music. Popular cinematographer-turned-director Rajiv Menon is all set to direct a feature film, 17 years after his last release Kandukondain Kandukondain. 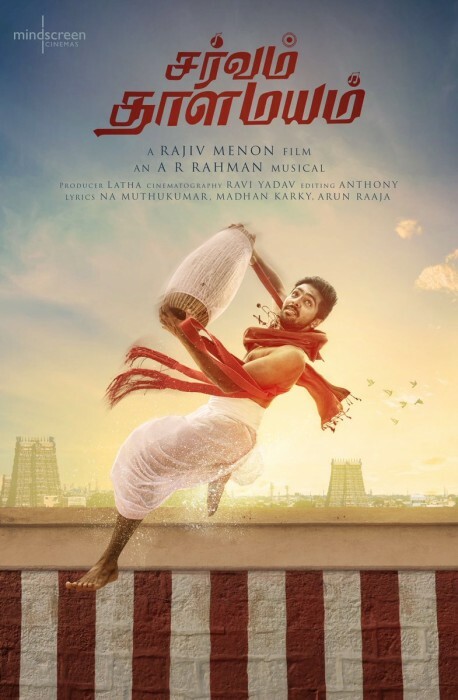 Titled Sarvam Thaala Mayam, the film stars music composer-turned-actor, G.V Prakash in the lead role. Known for starring in comedies and coming-of-age dramas, this movie will show G. V Prakash in a never-seen-before avatar. Going by the first-look poster and the star cast it sure looks like a film to watch out for. What do you think?